There are several excellent bibliographies of Foucault’s works available on the Web. Centre Michel Foucault: Bibliography, image library, and chronology of Michel Foucault’s life. Theory.org.uk: Brief bibliography and introduction to Foucault’s work. 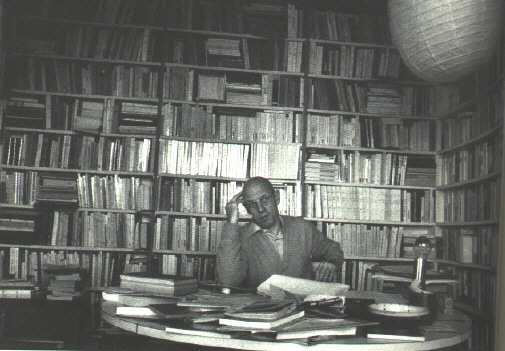 European Graduate School: Overview of Foucault’s life and list of his books (with publication information for French and English editions). John Protevi’s brief biography of Foucault here. For a biography of Foucault, go to our page, About Michel Foucault. Magnum Photos: includes link to photo by Martine Franck of Foucault in his library, which is copied on this page. Bruce Jackson Photography: Photos of Foucault in Buffalo 1971 & Paris 1975.